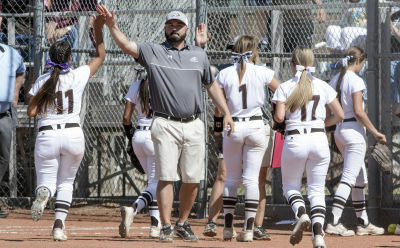 Trina Moquett enters her 5th season at the helm of the Buffaloes Softball program and her 13th season as a softball coach on three different levels. 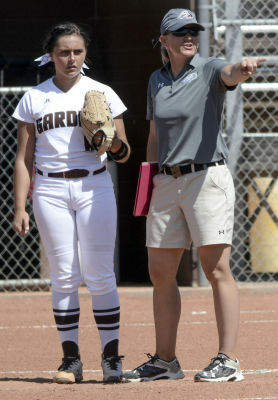 Moquett previously coached at Garden City Community College, and served as an assistant to Jennifer Bagley at Missouri Western State University. A native of Arvada, Colorado and graduate of Crowder College in Neosho, MO and Missouri Western State University in St. Joseph, MO. Trina was a two-time All-Region performer and selected as an NJCAA All-American her sophomore season during her time at Crowder. While at MWSU, Moquett was a two-year all-conference performer and also named 2002 MWSU Female Student-Athlete of the Year. Moquett earned her Bachelor’s degree in Exercise Science from MWSU in 2002 and then attained her Master’s degree in Physical Education with an emphasis in Athletic Administration from Northwest Missouri State University. She is a Physical Education Teacher at Horace J Good Middle School in Garden City. She has one son, Landon (7). This is Coach Reich’s second season with the Lady Buffs. 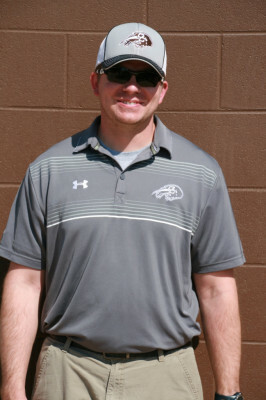 He has coached football at GCHS for the last 5 years, and is also an assistant basketball coach for GCHS. Coach Reich is originally from Junction City, Kansas where he was a multiyear letterman in both football and baseball. He was a part of Junction City High School’s 1999 State Runner-Up baseball team. He graduated from Emporia State University with a degree in Sociology, and played football for two seasons. Coach Reich will be responsible for hitting instruction and will be the first base coach this season. When Coach Reich is not at the field he is spending time with his wife Angela their 2 year old son Jaxon, and their newest addition Karsen who is 3 months old. Coach Sawyer is a 7th grade social studies teacher at Horace Good Middle School where he also coaches football and basketball. He is originally from Bettendorf, Iowa and attended the University of Northern Iowa and obtained degrees in Criminology and Social Studies Teaching.